Do you love color? Of course, you do. What's not to love? It's what makes the world interesting and juicy. The color group we love most? Jewel tones. They warm you up in the winter and wake you up in the summer. From your house's decor to what you wear on a night out, a jewel tone says you like the finer things in life and lets the world know that you're up for an adventure. 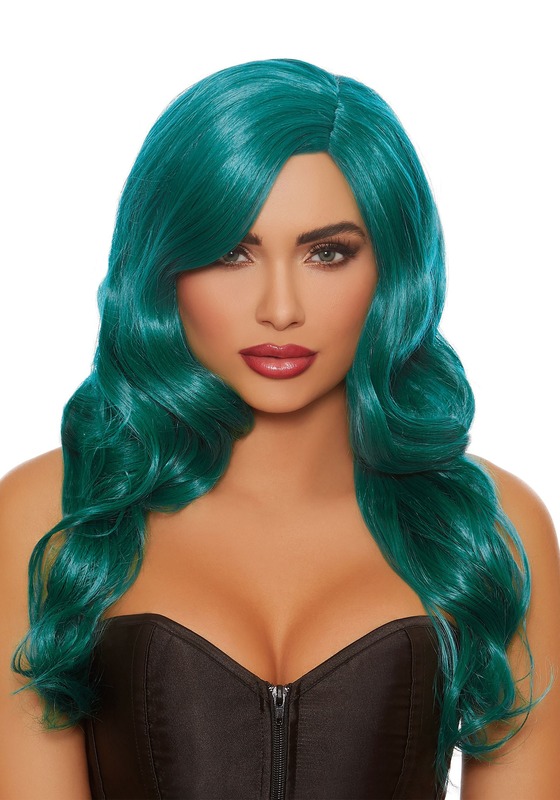 Next time you're dressing up, why not set the tone with a wig that looks like it could be from outer space or under the sea, the choice is yours! This gorgeous wig has lovely waves that set off the shine of these glossy tresses just right. The teal or emerald color will look fabulous with an assortment of costumes while also working wonders for a wild night out! Are you putting together the perfect mermaid costume? Maybe you want to look like a goddess with all the answers to our sad, mortal questions. Either way, this color will add an awe factor to your costume. No matter where you're coming from, you're sure to love this deep, dramatic look. Standard Wig Circumference 18"-26" 18"-26"